Ships today if you order in the next 12 hours 26 minutes. 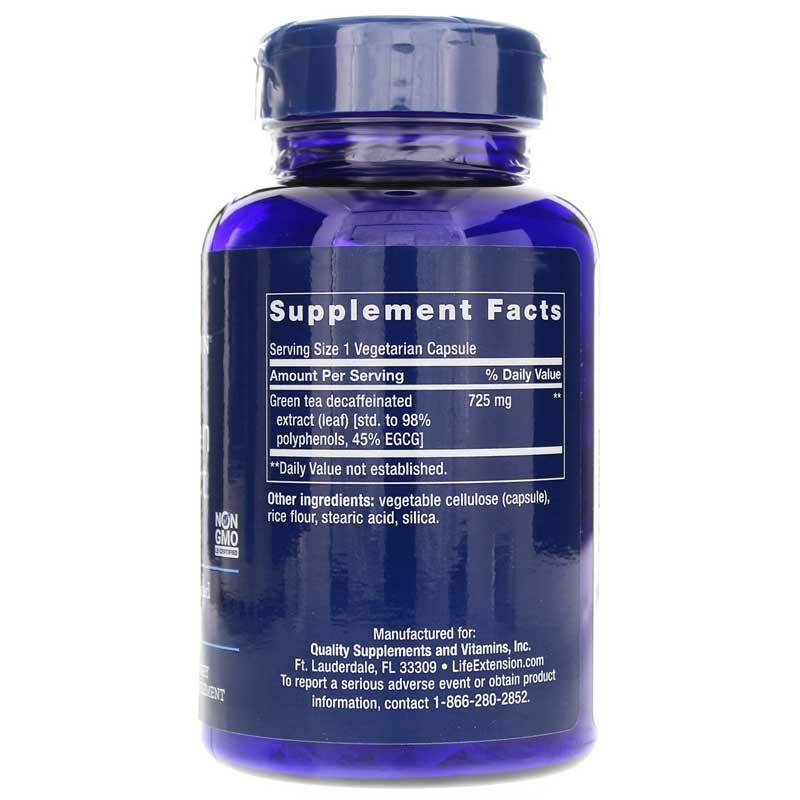 Green tea extract has been used for many years to support overall health. It provides a number of benefits, including lending support to healthy fat burning and weight loss. 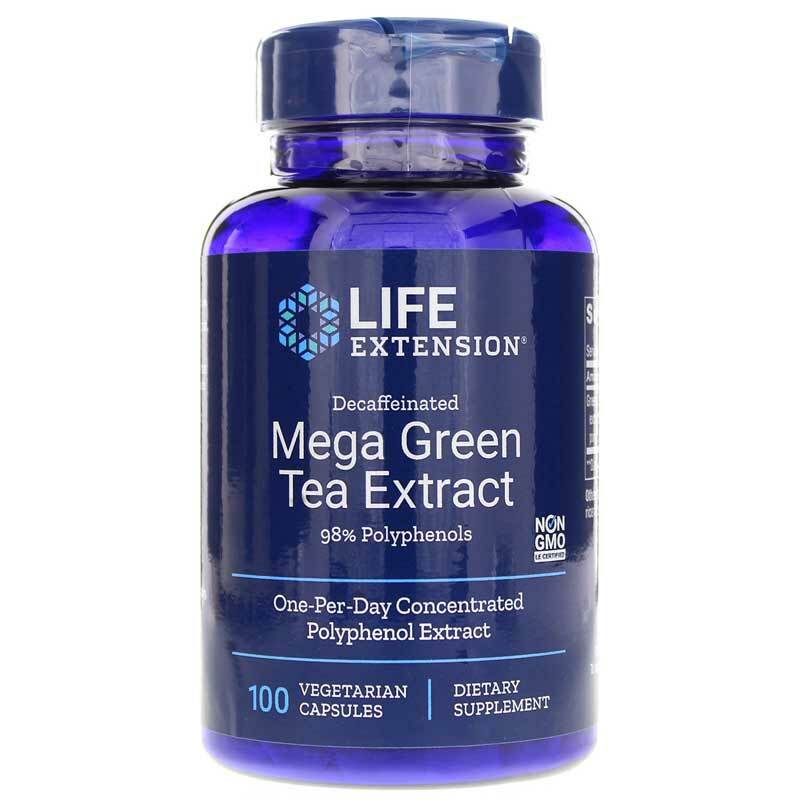 If you've been looking for a reliable supplement to improve your overall health, Life Extension's Mega Green Tea Extract may be for you. Mega Green Tea Extract delivers a small amount of caffeine in every serving. This amount is around 3.6mg at the most, and should not induce any stimulating effects when used. It's also formulated without artificial additives and doesn't contain any of the most common food allergens. Start improving your overall health today. When you choose Life Extension's Mega Green Tea Extract, you're choosing an all-natural way to a higher antioxidant capacity, enhance fat burning, and better brain health. Give it a try today! Other ingredients: vegetable capsule, rice flour, magnesium stearate. Contains rice. Contains NO: milk, egg, fish, peanuts, crustacean shellfish, soybeans, tree nuts, wheat, yeast, gluten, or corn. Contains NO sugar, and no artificial sweeteners, flavors, colors, or preservatives. Keep out of reach of children. Do not exceed recommended dose. Do not purchase if outer seal is broken or damaged. If you have a bad reaction to the product, discontinue use immediately. When using nutritional supplements, please inform your physician if you are undergoing treatment for a medical condition or are pregnant or lactating.